Enrofloxarom C - 100 tablets, very similar to Baytril (Bayer), but cheaper, individual treatment for pigeons. 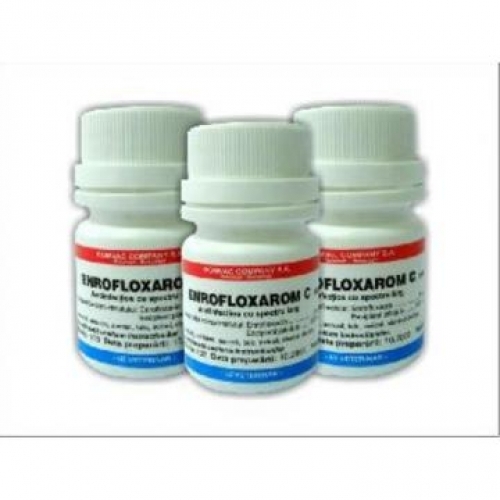 - 1 tablet contains 5 mg of enrofloxacin. - Preventive: 1 tablet per day, three consecutive days. 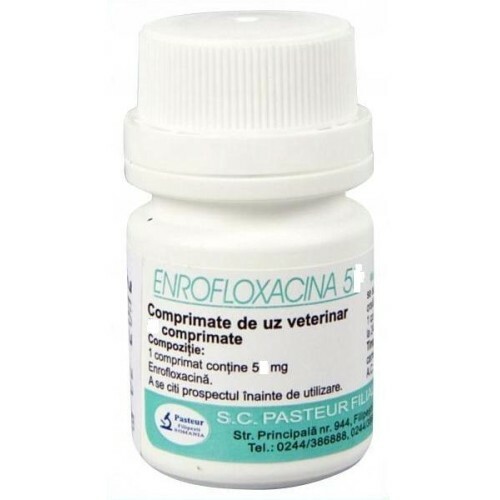 - Treatment: 1 tablet per day, five or seven consecutive days, depending on severity of the disease.